The number one challenge stated by our clients right now is hiring and retaining employees. Because finding experienced employees is so difficult in the A&E industry, many firms are getting creative with their compensation plans, benefits, profit-sharing and other tactics to engage and retain their existing client. What Does it Cost to Lose an Employee? Statistics show that losing an employee costs the average employer about six to nine months salary. For a $50,000 person that is about $25,000 to $37,500 for one person. And in fact, it can cost over 200% of salary for an executive level person. Obviously, this is a huge expense that most firms want to avoid, yet many firms are still finding that the average tenure of employees is decreasing. This is due to millennials that are less content staying with a company for a long time, and employees retiring earlier. Engineering, Inc. magazine recently reported that the engineering industry is aging, and engineers are retiring at a faster pace. Estimates are that 50% of all highly experienced engineers could leave the industry over the next five years. How are Companies Dealing with Retention? As many larger firms realize the financial and growth impact of high retention, they have become much more proactive about building employee engagement and offering creative benefits and incentives for both younger and older workers to stay. Medium and smaller firms seem to be lagging. The tech industry is known for their creative benefits such as telework, flexible schedules, free food, transportation to and from the office, and onsite child care, to name a few. These benefits are a big attraction for hard to find software engineers. Companies like Google are also outsourcing a lot of their employees to temp agencies so they can bring talented people on at a project level instead of long term employee arrangements. This enables them to scale up and down quicker without having to offer all the expensive benefits they are known for. It also enables them to expand their recruiting efforts dramatically by incentivizing outside companies to find and secure talent for them. It is obviously best to hire right from the beginning and understand an employee’s career aspirations before hiring them. Finding employees with the right work ethic, values, and ambition that match the culture of your firm can go a long way towards increasing retention and ensuring a good long-term fit. Another area that the A&E industry is severely lacking in when compared to the rest of the world is diversity practices. There is an obvious lack of women and minorities in A&E firms, and especially in leadership roles. Don’t overlook the fact that both your employees and your clients would like to work with a firm they consider progressive and dynamic. A C-Suite and Board of Directors with no women and minorities does not send a message to potential hires that they are welcome at your firm. First impressions are important and how an employee is treated in their first week of work can go a long way to building positive feelings and setting them up for success. Unfortunately, many firms do not provide great support in the early weeks and months of employment. Consider setting goals at 30, 60, and 90 days and schedule reviews to ensure that the employee is thriving and not struggling. A Society for Human Resource Management (SHRM) study shows that having friends at work can increase retention and performance by a significant percentage. People are happier when they go to an office where they have positive relationships. Because many people spend more time with their work colleagues then they do with their family, these relationships are very important to employee engagement and satisfaction. Employees are just as concerned about their future with your firm as they are about where they are now. If you are not talking about this with your employees at least twice a year, then they may feel they are in the dark. If your employee career paths are not documented with clear paths all the way to firm leadership, employees may believe they don’t have options and leave to work for a firm that clearly defines the steps, etc. needed to excel and move up the ladder. Employees want to be appreciated and even thanked for their efforts – especially efforts that go above and beyond their job description or written expectations. There are many ways to recognize your staff including prizes and gifts, awards, monetary rewards, public recognition, peer recognition and even company-wide automated recognition programs with gamification. Firms that implement strong recognition programs often see a significant increase in employee engagement and retention. Most managers admit to not recognizing staff enough, so it is a good idea to make it a company practice and teach your managers and supervisors effective ways to make employees feel valued. More and more firms are enticing new employees with long-term signing benefits that reward employees to stay with the firm for several years or more. While many A&E firms have resisted this growing trend, it could be a great way to compete even better for talented staff. Techniques used for sticky signing bonuses include tuition reimbursement for graduate courses, as well as special payments to help new grads pay off their huge student loans. Find out what is most important to your potential new hires and get creative with ways to not only induce them to join your firm, but stay at it as well. Your employees spend a huge amount of time at your offices and away from their families. They want to feel that their employers, and colleagues care about them and their lives. One important way to do this is to track important dates and milestones for employees such as birthdays, company anniversaries, and other date driven significant events. I learned a big lesson years ago when an employee came to me and told me they had been with my firm for five years. They were very proud of this fact, yet I had let it slip through the cracks. You can also show your staff you care by monitoring significant occurrences in their lives such as illnesses, deaths in the family, births and weddings (their own and their kids), and even travel. Handwritten notes can be a great way to build employee loyalty and have them feel valued and part of a second family. The world is moving towards a 24-hour work cycle with work emails hitting our phones 7 days a week, and employees responding during off work hours as well. Your employees may have incredible demand on their time with kids, grad school, aging parents, and other important responsibilities that make working an 8:00 to 5:00 schedule very unappealing. The ability to balance all of these demands with a full-time job is one of the most stressful factors that employees have to endure. An IBM survey of 42,000 employees in 79 countries found that work-life balance (of which flexibility is a significant component) is the second leading reason for potentially leaving IBM, behind compensation and benefits. Since the survey, IBM has beefed up their flexibility policy and found improved retention. Look for creative ways to enable employees to get their jobs done and still tend to their highest personal priorities. The best place to start is to ask them what they need in order to balance work and personal demands. In addition to flexibility in working hours, many employees also highly value the ability to work at home. Long hours spent commuting not only affect employee morale and fatigue, but they also affect productivity at work. Many employees would happily work an extra two hours a day at home rather than spend it sitting in traffic or on public transportation. There are definitely pros and cons of allowing employees to work at home. Productivity needs to be monitored closely, and home office setups need to be conducive to fulfilling job obligations. One key to success is to establish a work-at-home and home office policy that is agreed to by employees. The policy should address how often and under what circumstances employees are expected at the office, as well as home office requirements and video conferencing expectations. Not all employees can work at home successfully and policies should spell out expected performance measures that must be met to continue. Working at home can be considered a major benefit for your staff and make it much less likely that they leave your firm. Consider giving home office allowances for internet and supplies to make working at home even more desirable and their employment more sticky. Establishing a performance management program that actually incentivizes employees to perform and stay at your firm can be a great way to accomplish both increased profits and retention. Many plans fail because they are not well thought through, or after being started, are not rigidly managed and carried out. An effective performance management structure should include setting of goals, establishment of metrics, regular measurement and reporting of results, consistent and frequent feedback, and rewards, incentives and consequences for hitting and exceeding performance goals. Many firms struggle with accountability because they view it negatively. But accountability is welcomed by your top performing staff who get frustrated when employees who are not performing get the same pay increases and bonuses that they do. 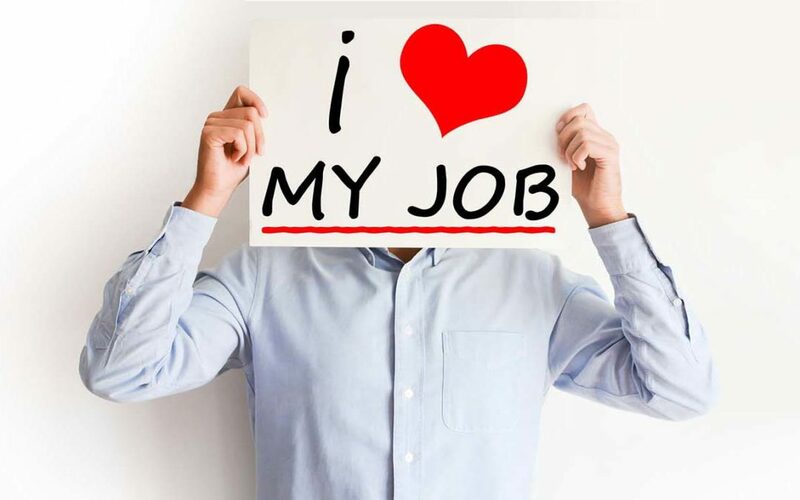 In fact, employees are happier when they can tie their compensation to their own efforts and results. Implementing a culture of accountability can be a huge advantage to both your financials results and retention rates. Traditional top-down leadership does not embrace employee contribution to business improvement or employee engagement. The old-school way of running an A&E firm is outdated and today’s employees want to contribute to their company’s growth and success. Surveying employees and asking them for feedback will give them a voice in your firm and help them feel empowered and heard. With bottom-up leadership, your team can be a valuable advisory board in enabling business improvement and profitability. When your employees feel listened to and respected for their opinions and ideas, they are more likely to stay and reap the benefits of their work. Our Business Management Assessment is one effective way many of our clients have been able to gain helpful feedback from their employees. Employees are asked to anonymously score statements about current business processes and firm practices in nine distinct areas. It is a well-received tool where employees are happy to be given a chance to voice their opinion on the inner workings of the firm and gives leaders candid feedback about how to improve the business. By focusing on these 10 strategies and trying to think like an employee when developing comp plans and benefits, you can increase your competitive advantage and recruiting / retention rates through more employee-centric approaches. Tracking key retention metrics and having effective exit interviews with staff that are leaving can help you understand what your employees value and what you can do to make your company a more desirable place to work. Do you want to give your employees a voice and increase profits? Learn more about how our Business Management Assessment can help you and your firm by entering your information below to gain access to our brochure.